Drop down menus will not function. Refresh browser after enabling scripting under security settings. Founded in 2011 in Oostburg, Wisconsin, Mutual Aid Labs develops unique technology solutions for emergency services. Mutual Aid Labs flagship product is EMABAS, a fully electronic implementation of the MABAS framework. EMABAS speeds the creation and maintenance of resources, contacts, and box cards within a division. EMABAS enhances the effectiveness of MABAS dispatching by providing unique dispatching and training tools. With innovations in the planning and response of MABAS calls EMABAS is revolutionizing the world of mutual aid. 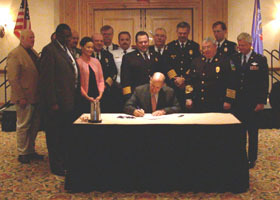 The Mutual Aid Box Alarm System (known as MABAS) Senate Bill SB 642 was approved by the Wisconsin State Legislature and signed by Governor Jim Doyle on April 5th, 2006. MABAS is a mutual aid measure that may be used for deploying fire, rescue and emergency medical services personnel in a multi-jurisdictional and/or multi-agency response. Participation in the mutual aid program is voluntary. Equipment, personnel or services provided under MABAS are at no charge between municipalities. Expenses recovered from the responsible parties are equitably distributed. In addition, emergency personnel that respond to the emergency remain employees of their initial department or agency. MABAS is broken into divisions rather than regions. The MABAS divisions basically follow county lines. The only exception is the City of Milwaukee which has established its own MABAS division due to size and number of agencies potentially involved. Currently, twenty counties have formally established MABAS divisions and an additional 14 counties are in the process of adopting the program. Wisconsin Emergency Management has conducted many outreach meetings throughout the state to explain the mutual aid measure. It takes 12-18 months for a MABAS division to become fully functional. Statewide the most conservative estimate is that it will take 5 years to fully implement MABAS across Wisconsin. MABAS is a mutual aid organization that has been in existence since the late 1960s. Heavily rooted throughout northern Illinois. 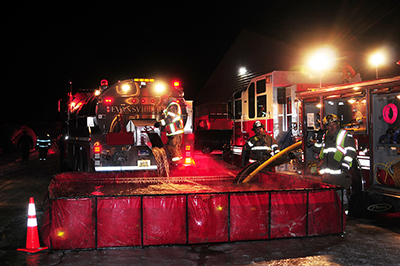 MABAS now includes over 750 member fire departments organized within 75 divisions. MABAS first came to Wisconsin in 1987 with the joining of the Village of Pleasant Prairie in Kenosha County. MABAS divisions geographically span the states of Illinois, Wisconsin, Indiana, Missouri, Michigan, and the other states, i.e. Minnesota, Iowa, and Ohio, are considering joining. There are 42 established Wisconsin divisions (as of June 2012) who share MABAS with the 62 divisions established in Illinois. MABAS includes over 25,000+ firefighters and daily staffed emergency response units including more than 950 fire stations, 1100+ engine companies, 375+ ladder trucks, 800+ ambulances (mostly paramedic capable), 150+ heavy rescue squads, 135+ light rescue squads, and 275+ water tankers. Fire/ EMS reserve (back-up) units account for more than 600 additional emergency vehicles. MABAS also offers specialized operations teams for hazardous materials (HAZMAT), underwater rescue/recovery (DIVE) and above grade/below grade, trench and building collapse rescues, a.k.a. Technical Rescue Teams (TRT). 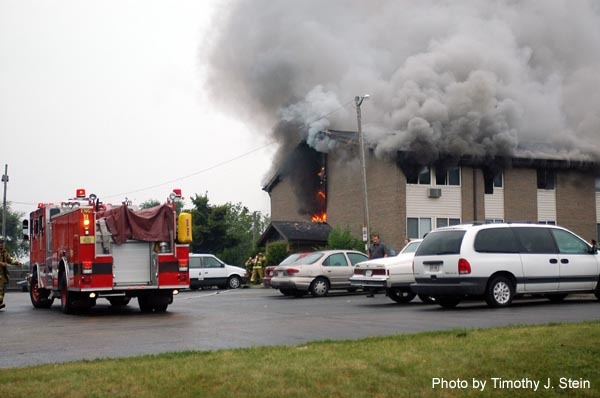 An additional element of resource are the certified fire investigators which can be "packaged" as teams for larger incidents requiring complicated and time-consuming efforts for any single agency. MABAS is a unique organization where every MABAS participating agency has signed the same contract with their 750+ counterpart MABAS agencies. As a MABAS agency, you agree to: standards of operation, incident command, minimum level of equipment staffing, safety, and on-scene terminology. MABAS agencies, regardless of their geopolitical origin, are able to work together seamlessly on any emergency scene. All MABAS agencies operate on a common radio frequency, Interagency Fire Emergency Radio Network (IFERN) and are activated for response through pre-designed run cards each participating agency designs and tailors to meet their local risk need. MABAS also provides mutual aid station coverage to a stricken community when their fire/ EMS resources are committed to an incident for an extended period. MABAS extra alarms are commanded by the stricken community and dispatch control is handled through the stricken community's MABAS division dispatch center. Over 950 MABAS extra alarm incidents occur annually throughout the 104 divisions of MABAS. The expansion of mutual aid to a statewide system doesn't require all municipalities and fire districts to join MABAS as a member agency, however, MABAS is a recognized response system by the State of Wisconsin when it was signed into law in April of 2006 by Governor Jim Doyle. 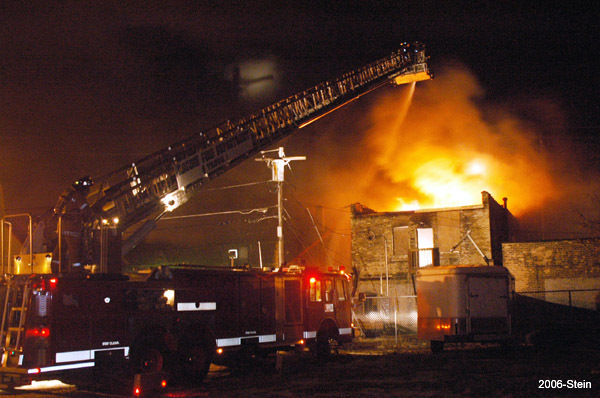 On a daily basis, communities face emergencies, which overtax their local fire/ EMS and special operations capabilities. 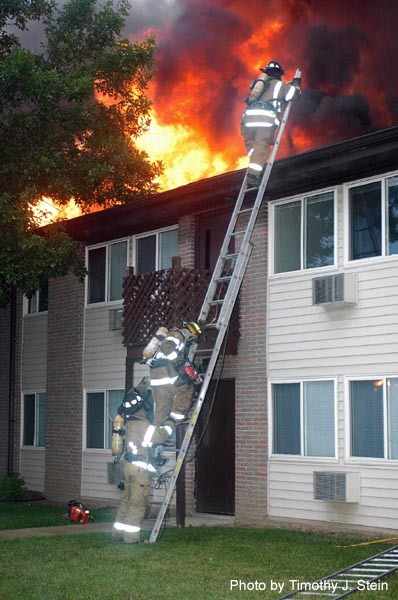 The fire service in the State of Wisconsin recognizes that need and has begun the work on the Wisconsin Fire Service Emergency Response Plan (WFSERP). The WFSERP was initiated by the International Association of Fire Chiefs (IAFC) through the Intrastate Mutual Aid System (IMAS) Project. The IMAS Project is integral to the development of interstate disaster response of the National Response Framework (NRF). To become a MABAS Division/agency, all that is required is a resolution or ordinance being enacted by the governing body and signing the MABAS contract. Most MABAS agencies are comprised of a number of geographically co-located municipalities or districts. Some MABAS divisions have nearly 30 member departments or districts. All it takes is discussion, agreement and political commitment. Currently as of April, 2016, there are 57 MABAS Divisions (82% of the State?s counties) covering nearly 95% of the population in Wisconsin. The Executive Board of MABAS routinely provides assistance to interest agencies. MABAS will provide any and all information to inquiring agencies including prepared ordinances, resolutions, and the standard contract to communities who are seriously interested. There is no cost to join MABAS and dues are self-imposed by and at the control of each individual MABAS division. The MABAS Executive Board meets monthly and functions as a coordinating agency.